Kevin Spacey: What’s happened to broadcast journalism? New York Times political reporter Mark Leibovich did a Times Talk last night with actors Kevin Spacey and Robin Wright and producer Beau Willimon about the hit Netflix series “House of Cards”. If you haven’t been watching, Spacey plays a democratic congressman from South Carolina who gets involved with a political journalist. The conversation turned to the state of broadcast journalism and Spacey gave his thoughts about what has happened to the news industry. I think there is a lot of truth in what he says. As a side note, there were sound issues with the interview. If you choose to watch you’ll hear better if you wear headphones. I hadn’t planned on writing a post about today’s commemoration of the 50th anniversary of the March on Washington, but then I read a tweet that got under my lily-white skin. I’m not going to call the reporter out but she too is white and works for one of the news networks. The gist of her #DreamDay tweet was that her family’s Washington, DC vacation coincided with today’s celebration and what a great moment for her kids to experience. I wonder what exactly it is she hopes her children take away from today’s events? Yes, I’m sure it’s some message about equality and opportunity for all. They’ll spend the day feeling good about themselves, hanging with a predominately African American crowd on the mall at the Lincoln Memorial… and tomorrow they’ll head back to their segregated existence. Okay, here’s where I have to say I don’t know this reporter personally. I’ve never worked with her but I’ve worked with many other women and men like her. I may be making assumptions. Perhaps her kids are enrolled in a public school, but chances are they are attending an exclusive private school where the student body both white and minority has been pre-selected to fit some income and/or test score criteria. Chances are likely if you asked her children to list their three best friends not one is black. I’m going to say it’s probably the same for her and her husband. I can’t just put this all on her. I’m no better and neither are most of my white friends. My sister recently told me about going to see the movie “The Butler” at a theater in Connecticut. At the end of the film the crowd was clapping and teary eyed in that self-serving way that a mostly liberal leaning audience can be. The problem was they also all happened to be white. There’s a disconnect here folks. Yes, I’m going to celebrate your blackness today – but only at a safe distance. Of course this reporter is not the only one who tweeted about today’s commemoration. The entire news media have also hopped on the bandwagon. In fact, they have devoted a number of stories and interviews over the past week about the importance of this day and where we as a nation stand when it comes to equality and opportunity for all. Some of the news organizations have even decided to air Dr King’s speech from that day. To what end I ask? I’ve been in enough newsrooms to tell you it hasn’t escaped my notice that there are a whole lot of white people working there. And most of them with the big jobs are white men. We can all make ourselves feel good by posting 140 characters promoting equality and opportunity for all. We might even convince ourselves we’re advancing the cause but it doesn’t make a difference if we don’t acknowledge the situation right in front of us. It takes more than re-airing a speech. News organizations have to learn how to live it. Here’s a thought – want to really feel good and make a difference today? Hire or promote a few more minorities and while you’re at it give them equal pay. I guess, in the end, what I want to say to that reporter is yes, I hope today is a special moment for her children and everyone else, but let’s not forget about tomorrow. There are special moments and opportunities everyday for both whites and minorities to bridge the divide if we are only brave enough to be open to them and to each other and be honest about the realities of our lives. Poynter profiles two young women who recently started an online and print magazine called “The Riveter”. 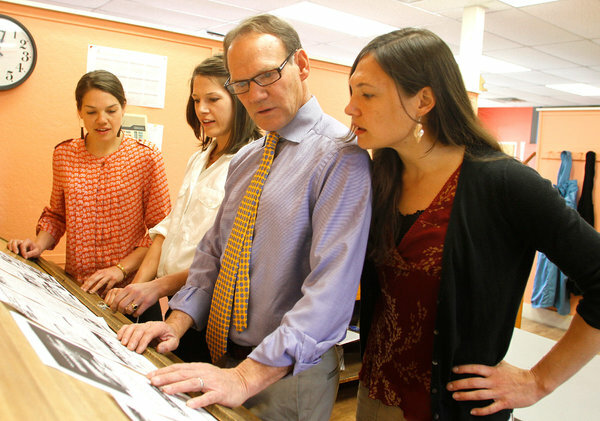 The publication will showcase longform journalism pieces and narratives by female writers. 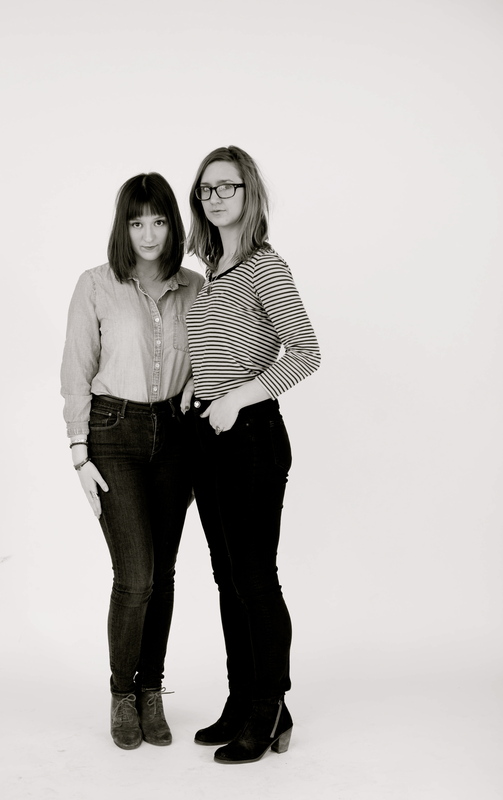 Kaylen Ralph and Joanna Demkiewicz recognized the underrepresentation of female magazine writers while they were still students at the University of Missouri. Ralph and Demkiewicz told Poynter they were especially motivated after no women writers were nominated for a major writing category in the 2012 American Society of Magazine Editors’ National Magazine Awards. Al Jazeera America launch: 3, 2, 1… Liftoff! Kate O’Brian has a daunting job ahead of her. She’s at the helm of Tuesday’s launch of Al Jazeera America, the latest entry into the 24 hour news market. O’Brian, as I previously posted, is one of two women recently named president of a television news organization. (The other is Deborah Turness at NBC News.) Unlike Turness, O’Brian is tasked with introducing an American audience to a whole new brand of news which will include 14 hours of live programming. We will see in the coming weeks and months how the new network will differentiate itself from other cable news channels. There already is one notable difference. In addition to O’Brian, Al Jazeera America has hired several women for key positions including Marcy McGinnis as senior VP of news gathering, Shannon High as senior VP of documentaries and programs and Kim Bondy as senior executive producer of the network’s flagship prime time news magazine show “America Tonight”. As newspapers across the country struggle to survive, the New York Times profiles the Lynn sisters of Vermont who are at the helm of several community newspapers. Polly, Christy and Elsie – all in their twenties – are the fifth generation in their family to take on the newspaper business. The publications are “surprisingly profitable” according to the article. Katie Couric: Journalist or not? Jennifer Aniston of all people has me thinking. She recently did an interview with late night talk host Chelsea Handler where she questioned whether or not Katie Couric is a “legitimate journalist”. Ouch! Aniston posed the question after learning Couric had asked Handler if she had any details about the actress’ upcoming wedding during her daytime talk show “Katie”. I could question Aniston’s feigned surprise over the public’s interest in her personal life but that’s a whole other story. While her remark seemed to be made in a moment of irritation she does raise a point. Never before in this industry have the lines between news and entertainment been more blurred. I think much of this has to do with the evolution of news which for the most part has morphed into a form of infotainment. Much of this happened as a result of morning shows, a place where Couric gained her recognition. I personally have always had a problem referring to myself as a journalist and I’m not sure why. The word carries such gravitas to me and I kind of feel I haven’t earned the stripes. Truth is I also feel like many others in my profession haven’t either. Dan Gillmor who teaches and writes about digital media raises a similar question in a 2010 article for Slate. Gillmor writes that in this age of new media we are all capable of “committing acts of journalism” but that doesn’t necessarily make us all journalists. Gillmor says the better question to ask is “What is journalism?”. If I follow Gillmor’s example, the CBS Evening News with Katie Couric is journalism. “Katie” the daytime talk show is not. This is not to diminish Couric’s continued contribution to broadcasting. She still conducts newsworthy high profile interviews even “committing acts of journalism”, but CBS Evening News has a set of journalistic standards which a daytime talk show does not. Otherwise Ellen Degeneres, Wendy Williams and Marie Osmond could all be called journalists too. What do you think? Do you call yourself a journalist? Should anyone be allowed to use that title? Does it matter? Doesn’t this image remind you of the old Sesame Street song “One Of These Things Is Not Like The Others”? It’s from Mediabistro’s story about CNN Worldwide President Jeff Zucker reorganizing his leadership team. The gist of the article is one middle-aged white man is leaving and two other middle-aged white men are joining the team. I’m not surprised by this story yet I do think this image says so much about the television news industry. Mushrooms and Movie Stars: What’s relevant? Something big is about to happen to me in less than two months. According to my industry I’m about to become irrelevant. That’s right, I’m turning 50 at the end of September and that means I will age out of the most important television demographic. I am part of an industry that is fixated on the interests, trends and entertainment consumption of 18-49 year-olds. That’s because television advertising rates for the most part are set at a higher value for this age group. Media Life magazine recently reported advertisers spend 10 times as much targeting 18-34 year-olds as they do 50-65 year-olds. Soon I’ll no longer be one of them, my interests considered of far less value. I’ll be just another middle-aged woman hopelessly out of touch and most likely at some point not even caring. I recently had a glimpse into my future while vacationing with my siblings in the Berkshires. One of our outings was a visit to a Saturday morning farmer’s market in a small town. It happened that one of the locals was giving a talk on how to grow mushrooms on a log. My sister who is five years older then me was front and center watching the demo and asking questions. Standing next to her was a woman in her sixties equally as interested in the mushrooms. Off to the side was the woman’s family including her thirty-something son. While she and my sister marveled at the presentation the woman’s son attempted to throw some levity into the moment. At one point he said he thought they were mispronouncing the word “shitake”. My sister didn’t get the joke and shot him down immediately. When the conversation turned to Hen-of-the-Woods mushrooms he said he heard they tasted like chicken. Once again my sister set him straight. He was playing to a crowd that just wasn’t getting his humor. Finally he asked my sister why she knew so much about mushrooms and a conversation ensued. While all this was taking place my twin 19 year-old nieces were hanging back enthusiastically whispering to each other. I was pretty certain I knew why and it wasn’t about the mushrooms. The young man who was goofing on their mother happened to be the actor Justin Long. As I watched the scene unfold I realized the moment for my nieces was all about the Hollywood star and for a couple of middle-aged women it was all about the mushrooms. There I stood on the brink, at the ripe old age of 49 still aware of what a couple of 19 year-olds found important yet appreciating the more mature women’s enthusiasm over the mushrooms. The thing is those mushrooms really were interesting. I could tell you all about them but I’m as guilty as the rest of my profession feeding into this youth obsession. I assume at this moment you’re still reading my post because you want to hear more about Justin Long and less about the mushrooms. Yes, I could tell you he teased his young niece and nephew saying, “Isn’t it true if you eat mushrooms off a log after midnight you turn into a toad?”. But what I as a middle-aged woman also want to tell you is that I learned if you grow those mushrooms the wrong way you could kill yourself! What was the more relevant story that morning at the farmer’s market? Was a celebrity sighting by a couple of teens really worth 10 times more than a mushroom how-to that delighted a couple of boomers? 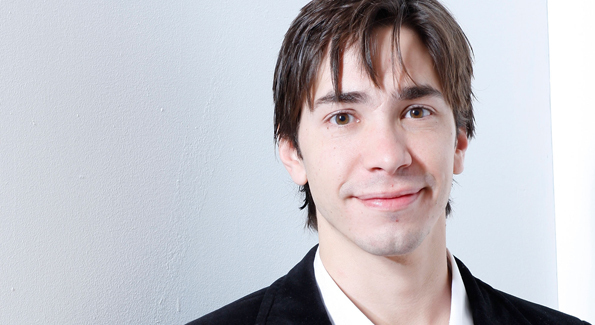 Perhaps, but even Justin Long saw value in trying to entertain a couple of middle-aged women. I dare say he even learned something about mushrooms.